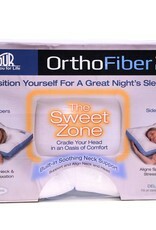 Product Description: Cradle your Head & Neck in an Oasis of Deluxe Support and Comfort! A beautifully designed, gusseted pillow for side and back sleepers. Contour's Signature Pillow, the OrthoFiber 2.0, features a luxuriously soft microfiber fabric with detailed, elegant piping along the edges. To ease the neck and shoulders are two built-in lobes of varying heights for you to choose your comfort level. Designed to help align your spine and support your neck in its natural position. 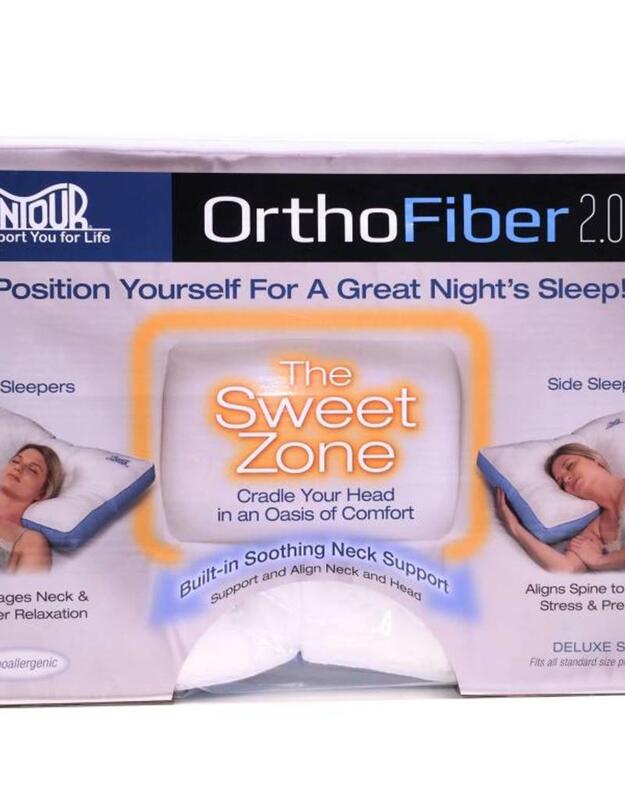 Allow your head to naturally fall back and rest in the Sweet Zone for an oasis of deluxe support and comfort as you sleep comfortably all night long! Fits in a standard size pillow case.